In yet another patent filing, it appears that Apple is, if nothing else, researching the idea of interchangeable camera lenses on the iPhone. While the chances of an idea like this actually making it to the iPhone are slim to none, it’s an interesting look into what goes on behind closed doors at Apple. Undoubtedly, Apple realizes how popular the iPhone is for photography, so the idea of brining interchangeable lenses to the iPhone, while unpractical, is rather interesting. The iPhone can already take great looking 8 megapixel photos and passable 1080p video, so interchangeable lenses could add some amount of utility to the device. Secondly, there’s quite a big third-party market out there already for iPhone lenses, so if Apple did something like this, it could likely catch on. The unfortunate reality is that a system like this would not only add bulk, but also moving parts and increased complexity to the iPhone. That doesn’t sound like something that Jony Ive would approve of. 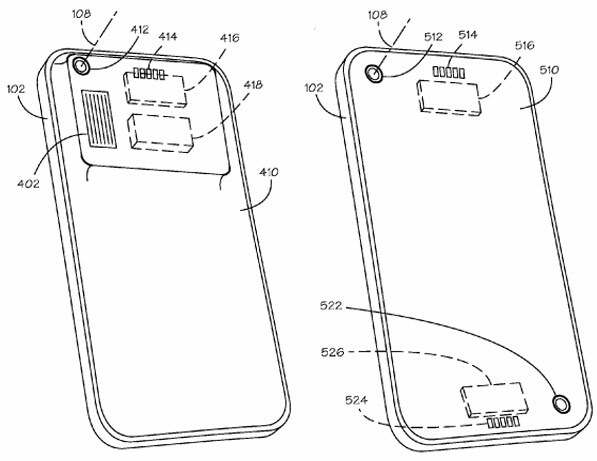 Most patents that Apple file never come to fruition, so I wouldn’t expect to see something like this come to the iPhone any time soon.